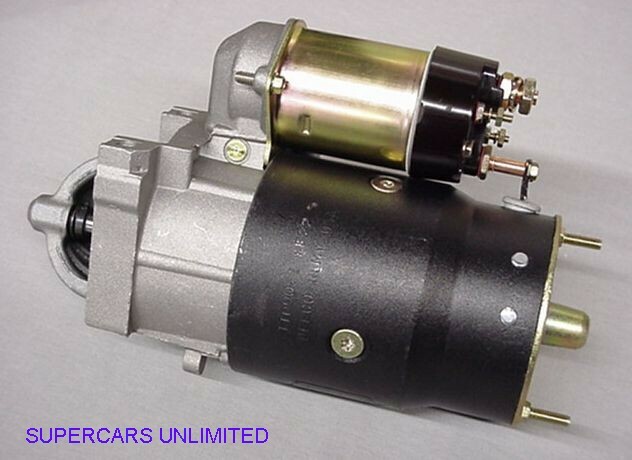 Genuine Delco remanufactured. Complete assembly including solenoid. Please note these units will not have the original stamping number. Sold on an exchange basis. Before submitting your core, be certain that it meets the following conditions: Units must be complete and assembled. Units that have broken housings, or have been involved in a fire cannot be accepted as cores. Core must be returned in its original box. See Core Deposit listed below listing. For more Core Deposit information, see ordering and policies section. 64-69 All V8 (low compression models). See Core Deposit listed below. 64-69 All V8 (high compression models). See Core Deposit listed below. 70 350 (low compression models). See Core Deposit listed below. 70 350 (high compression models). See Core Deposit listed below. 71-76 350 All models. See Core Deposit listed below. 70-76 455 All models. See Core Deposit listed below.